If you want to read sports writing that has a definite point of view, try John Feinstein. He’s not shy about telling you how he feels about a sports subject. He’s also good at it. Feinstein spent a bit more than a year following the PGA Tour as it worked its way around the country. He began in the fall of 1993, watching some pros struggle through the annual Qualifying Tournament. He finished in the fall of 1994, when the tournaments, as usual, were full of golfers trying to keep from going back to Qualifying. 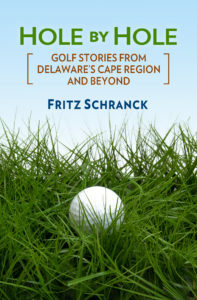 The book follows a diverse group of golfers, from stars like Tom Watson to journeymen such as Bruce Fleisher. Feinstein took the time to learn about these golfers and what they’re like, both on and off the course. To my mind, that was the primary appeal of this book. You can only read so much about how somebody scored in a given tournament. It’s more interesting to learn how somebody developed into a golfer that could play in these tournaments. I thought the passages dealing with Jeff Sluman and Paul Goydos were among the most intriguing. In 1988 Sluman won a Major, the PGA, and by 1994 was trying to find out if he’d ever win another tournament. His win at Tuscon in 1997 broke a long string of non-victories, and his relief was as obvious as it was pleasing to see. At the time Feinstein followed him, Goydos hadn’t won yet, and was struggling to hold onto his playing privileges. He didn’t lose his grip on reality, however, and his approach to life and his sport was enlightening. Since then, Goydos has also won. Hmm. Feinstein may have a successful second career as a bookie. Feinstein accurately captures a basic truth about golf. It is a struggle for everyone, including the well known and the lesser-known professionals. On the other hand, if golf was easy, would we care as much about it? Not likely. This book deserved its best-seller status for making that point so well.